Recently, my roommate and I scored a free TV outside of the Housing Works thrift store near our place. Of course, it’s an enormous, junky, box of a thing. Housing Works didn’t even feel like dealing with it. But, hey, it’s a functioning television and we’re college students, right? For us, it was the high-light of the week. Since the day the two of us laboriously lugged the set up our three flights (OK, alright, a lovely gentleman and his dear tween son helped us out), it has been sitting on the floor of our living room. Sad. Alone. Banished to sit on the corner like a problem child punished in day care. Being opposed to the soulless look of many media stands or “entertainment centers” out there, I’ve started to brainstorm for some creative ways to prop up my brand spankin’ new, really old TV. Join me on my brave quest to get my pathetic television off my dusty, wood floor. Let’s take “TV Stand” literally… I’m warming up to the idea I had of placing my newish television atop an enormous, inoperative, vintage television when I saw this one on Ebay for only $60! 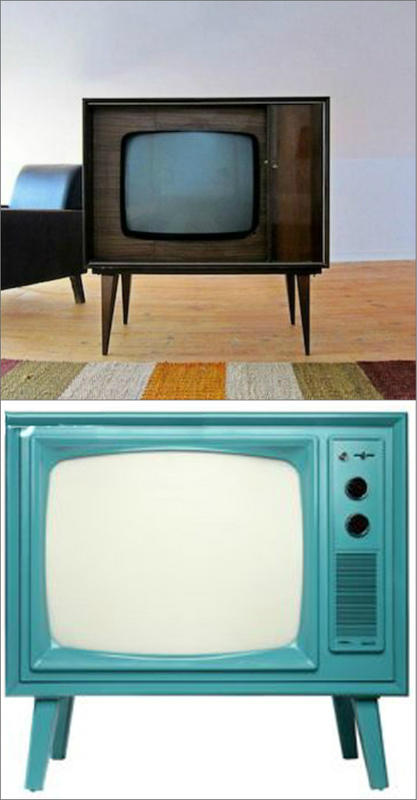 I could leave the vintage tv ‘as is,’ or I could get crafty, painting it a bright color or playing with prints to display on the screen, as a frame. I also love a western-chic vibe. How better to achieve this look than with a barrel? 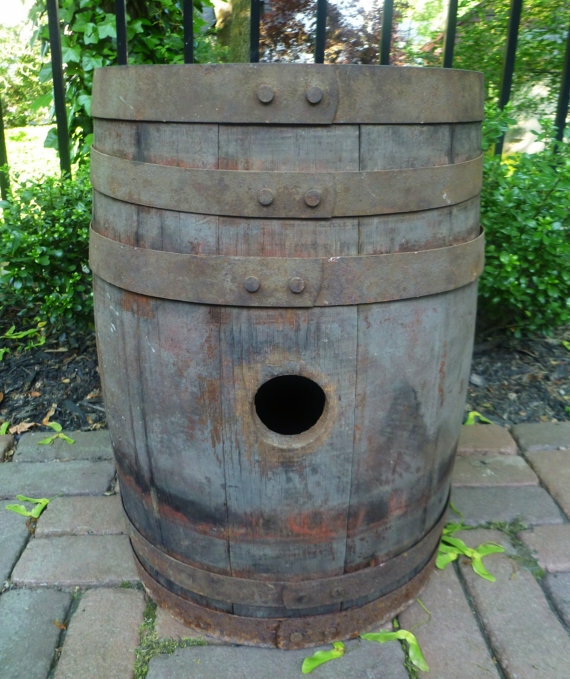 I think, if I could find m’self the perfect ol’ barrel, I would paint it with a glossy, vibrant color that matches my interior. Picture a very modern acidic green or even a silver to revamp the antique piece. They may be a bit overdone, but I don’t care… I’m a sucker for a suitcase. 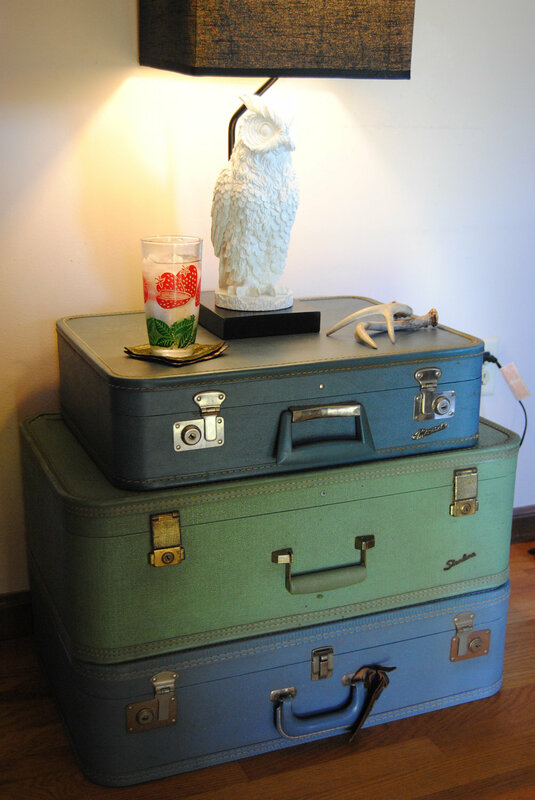 I love the dreamy touch that stacked vintage suitcases give to a place. A perfect tv stand substitute. Though they might have me turning to the travel channel every hour of the day. 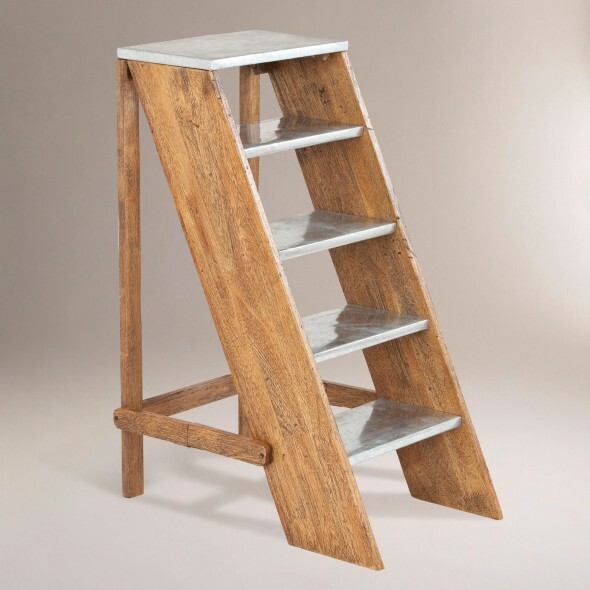 Online, I’ve found cases for $25 and $24.95, and if you want to cut to the chase and buy a ‘suitcase table’ – see below – it’ll only cost you $90 on Etsy!